I put together a dessert using pureed pumpkin or butternut squash, spiced up in a way that moves the blood and is actually good for you. It is brim full of antioxidants and flavonoids. Plus it is delicious. 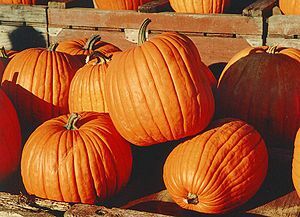 You can switch a good yellow squash for the pumpkin and canned puree works well, but make sure it is puree and not pumpkin pie mix. I prefer the canned coconut milk to that found in the refrigerated milk section because it has more of those good fats. You can sweeten with stevia, agave, maple syrup or cane sugar, but the agave, maple syrup and sugar have a lot of fructose which is hard on the liver which you will want to avoid if you are in pain. Honey doesn’t blend in all that well in my opinion, but your taste may differ. I recommend adding stevia to taste (but go slow, a very little at a time!). The black pepper makes the effect of the spices more bioavailable- in Ayurveda it takes the herbs into the tissues. I eat this like pudding or top my coffee with it to make pumpkin latte, perhaps with a dash of rum. This makes a great winter dessert. Stevia or other sweetener to taste. Stevia is very concentrated so add it slowly. The spices cover up any bitterness from the leaf. Serve over chopped walnuts and top with whipped cream.